If 2018 was anything to go by, it looks like 2019 will be the year of the vlogger. From Google’s video carousels to Pewdiepie’s battle with T-series, 2018 was a big year for video, breaking new ground in both the business world and in pop culture. With the rise of Facebook video both in use and popularity, and social algorithms prioritising video over visuals – 2019 is looking bigger yet. Once the home of the bedroom makeup tutorial, today’s leading vloggers are household names who rake in millions and have a greater impact on sales than traditional celebrities. Video is already fundamental to Facebook marketing and with the rise in popularity of Instagram stories and LinkedIn’s sponsored video content, it’s never been more crucial to publish engaging and dynamic video content that’s optimized for your target audience. With the explosive growth of vlogging, thousands of regular Joes are grabbing their phones and joining in. And while it can be that simple, in terms of quality it can be a case of ‘you get what you pay for’. Businesses used to rely on partnerships with vloggers and influencers to promote their products, but now, an increasing number are stepping in front of the camera themselves. Thanks to social media and video marketing, the barrier to entry for businesses of all sizes to compete with larger competitors and connect with customers has been removed. 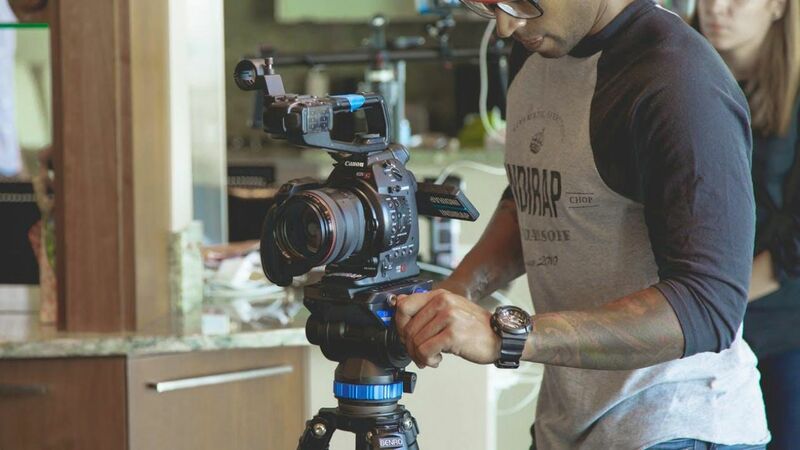 For brands looking to make an impact, devoting the bulk of their creative efforts to producing video content could become a solid strategy in 2019. Brands are already producing more video content than ever before. 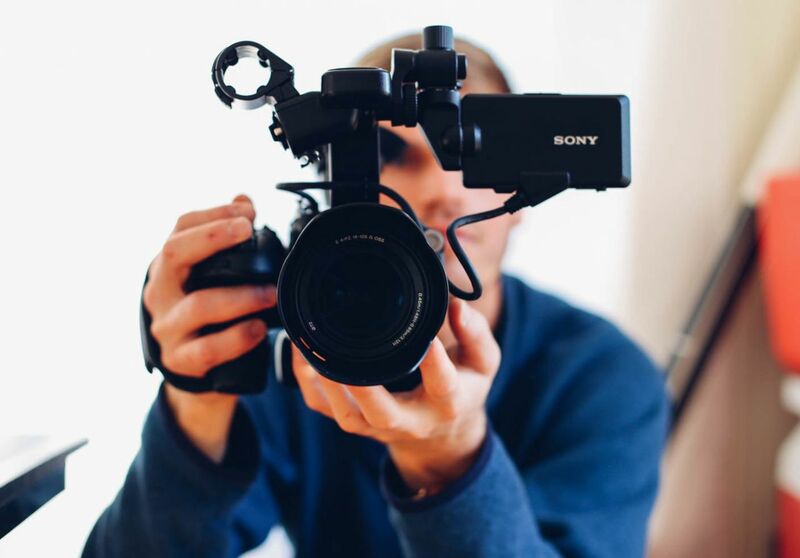 By making vlogging part of your video marketing strategy, you gain a powerful channel for promoting your business or cause, as well as an opportunity to show off the personal side of your business and its people. And a sidekick. That’s right – he has a sidekick who also has a camera, a special lens, a camera mic, and a tripod. It can take a lot of expensive, high-tech equipment to look homemade, but then again, anything too studio-like can tend to look more manufactured and less credible. It’s a delicate balance. That said, investing in the ideal piece of equipment for creating vlogs is an investment in your business. But knowing what’s right for you can be overwhelming. We shared our ultimate list of video ideas here, so now we’ll dive into the second half of the equation with tips for choosing a vlogging camera, plus suggestions for the best cameras in every price range. The answer to this really depends on your needs. Are you looking for the highest video quality at any cost, or the cheapest you can get your hands on? There are a number of considerations to take into account when choosing the best camera, all of which depends on what your aim is. Are you going to be out and about? That means you’ll have to consider size and weight. Are you going to shoot in different settings? That means you’ll need to consider different lenses. Are you going to be on the move? That means an action camera might be best. Technically speaking, the very best camera for vlogging would be the best camera of all — perhaps something like the Red One. But you’re not Beyoncé creating the next Lemonade, so for all other mortals and for nearly every purpose, this would be overkill (big-budget Hollywood blockbusters are filmed on cameras like these). Also, bear in mind if you want to climb this far up the quality scale, you’ll probably also need a good lens, tripod, lights, and sound recording equipment, all of which can add up to a breathtaking amount of money. Sometimes the best vlogging camera is the one you already have — for example, your existing smartphone or webcam. In most instances, these cameras now take very high-quality footage and will suffice for almost anything but the most professional needs. But if you’re looking to get an edge and invest in a separate vlogging camera, here’s what you should know. If you’re not familiar with camera lingo, shopping around can get pretty confusing. 1080p, ISO, MP, 4K… it’s tough to know what you really need. Whichever camera you choose, you’ll need a camera that delivers high-quality video, in at least Full HD (1080p) or, even better, 4k Ultra High Definition (both formats supported by YouTube). Other features to consider include built-in Wi-Fi and a good LCD monitor so you can check your footage on the spot. Resolution/Pixel Dimensions Every screen, from your computer monitor to your mobile phone, displays a certain amount of pixels. Basically, the more pixels, the higher quality the image. 720p is pretty standard on YouTube, 1080p is good, and 4k is fantastic (but you’ll probably never need it to be this good). Megapixels (MP): Also refers to the camera’s resolution. Basically, the higher the number, the better the quality. Anything above 4 will be fine for an average, but not great-quality YouTube video. Between 10 - 20 is reasonable, above 40 is overkill. ISO range: The range of light sensitivity of the camera. The higher the ISO, the less light a DSLR camera will need to take a photo. Sensor size: The size of a sensor will determine how much light is let into the camera. The larger the sensor, the better the image quality. Video quality: This measures the DSLR video resolution. Cameras can shoot video at standard definition (SD or 480p), high definition (HD or 720p), or ultra-high definition (4K). Display size: This is the size of the camera’s video display. The higher the number, the bigger the display. Good for watching playback while you’re on location to check a shot went OK. Battery: How long you can shoot for before it needs to be recharged. Wi-Fi: Wi-Fi capability means you can wirelessly download pictures to a computer, smartphone, and tablet. It’s not essential but can be handy. Weight: This is exactly what you’d guess – how heavy it is. Think about how you’ll be using your camera to figure out what weight suits your needs. FPS: Frames per second, that is, how many individual images are shown onscreen in one second to create a moving image. 15 FPS will create noticeably jerky, low-quality movement and panning, 30 FPS will look nice and smooth. 24 or 25 FPS is what you see on television and most older movies, so is perfectly acceptable too. 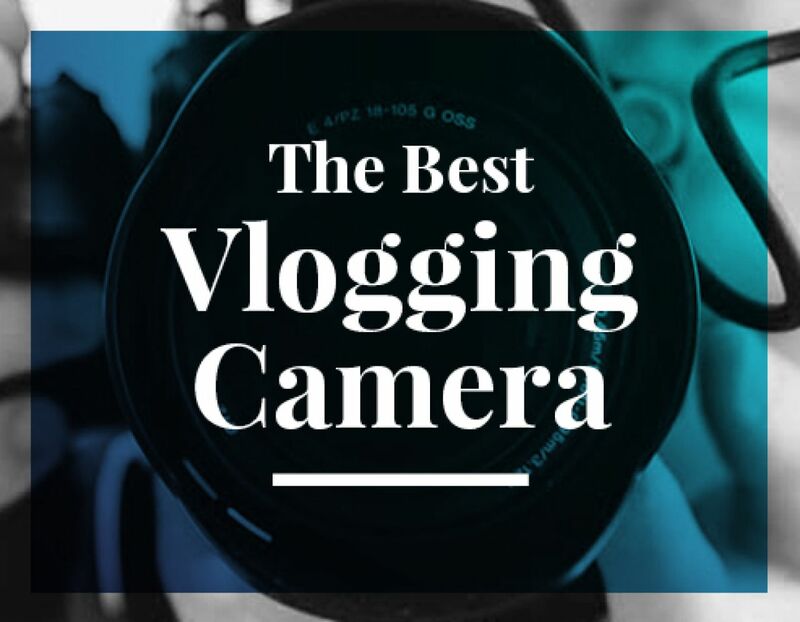 Digital single-lens reflex cameras, or DSLRs are a popular choice among vloggers thanks to their great video quality, performance in low-light conditions, and adaptability. Lenses are interchangeable, from the cheap kit lens that typically comes with the camera body, to extremely high-end lenses offering exceptional sharpness and image quality. The downside is these cameras are often heavy and clunky, and while DSLR camera bodies typically come with a lens, you’ll want to spring for a better one if you’re serious about image quality. You’ll need a microphone, too, since the built-in ones are typically lacking. The technology is also aging, with many photographers moving on to newer options like mirrorless cameras. Vloggers who record on the go and want a streamlined, lightweight camera will often opt for a compact model. The best ones are capable of recording HD video that’s nearly as high quality as a DSLR, but without the bulk. Again, sound quality can be hit or miss, especially when zooming/autofocusing (you can sometimes hear the camera motor chugging in your audio), so you’ll want to use an external mic. These often don’t have the light sensitivity of a DSLR, so keep that in mind if you want to record in sub-optimal light conditions. Like compact cameras, camcorders are a small, lightweight option that can pack a punch, visually speaking. The difference is that portable camcorders have video capture and recording as their primary function, rather than still photography like DSLR and compact cameras. 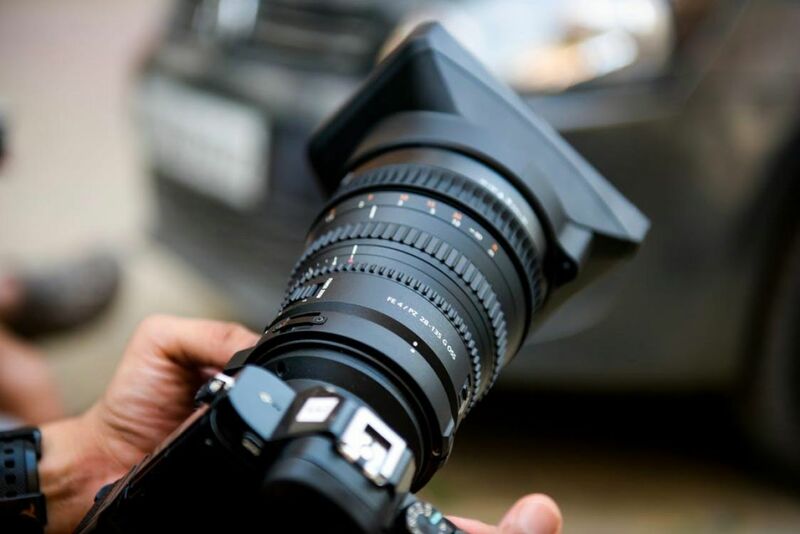 Some of the best options on the market offer 4K and HD recording for sharp picture quality, zoom lenses, image stabilization, and touchscreen displays. Where they lack is, again, in low light conditions, and most don’t offer as much control over shutter speed or aperture, so you can’t adjust for the lighting conditions as required. Action and sports cameras are perfect for vloggers who want a rugged option to take on outdoor adventures. This class of camera is typically ultra compact, with a shockproof, waterproof body that can withstand whatever you throw at it. Because they’re often used to capture sports, most have wide lenses, advanced stabilization, and sensors to track speed, altitude, and other performance metrics. They’re often equipped with GPS and WiFi, but you won’t have as much control over things like zoom (most are fixed lens), exposure, aperture, and other options. If you intend to do most of your vlogging in front of your computer, webcams are a natural choice. They’re particularly popular for YouTubers who want to record livestreams, game walkthroughs, or commentaries. While your laptop probably has a built-in camera, the video and sound quality is universally pretty poor — OK for Skype calls, but not much else. External cameras offer improved image quality at a really low cost. They’re usually easy to set up, and some offer features like 1080p recording, zoom, and panning/tilting. The drawbacks are that the image quality is still poor compared to the options above, and you should get a separate USB microphone since the sound quality on webcams is almost always pretty bad. Smartphones offer the lowest barrier to entry of all, since nearly everyone already has one in their pocket. Many smartphones today offer features like 4K or 1080p video recording (which means high resolution), dual cameras, optical zoom, image stabilization, and long battery life. As a camera, the price range is fairly high, but if you already have a decent phone (or need a new one) then the additional expense is minimal. Phones like the Google Pixel 2 and iPhone X offer the best video recording features in the smartphone market. Now let’s break down our vlogging camera recommendations by budget, since for most people this will be the ultimate deciding factor. Bear in mind that on most cameras, the built-in microphones will deliver fairly average-quality audio, so if you want your voice to be clear, you’ll need to purchase sound gear separately. The Canon Powershot G7 X Mark II is our favorite all-round vlogging camera. Compact size and lightweight, with a high-quality, fast lens, 1080p HD video recording, fast processing, good low light performance, and a great battery life. It’s a favorite of many pro vloggers and while it’s not the cheapest option, it offers high-end features for a fraction of the price of other high-end cameras. If your budget for a camera is under $100, you may be better off buying a second-hand camera or using your phone, since at that price, features are pretty limited. Still, there are a few good options that stand out. One of the most affordable is the Polaroid Cube, a fun and super-cheap little action camera that offers 1080p HD video, a 124° wide-angle lens, WiFi, and a host of other features all packed into a tiny, shockproof, weatherproof cube measuring barely over an inch. If you’re looking to get into action/adventure vlogging without spending a lot, this is a great option. If you’re not planning to leave your house, excellent-quality webcams can also be picked up for less than $100, like the new Logitech C922 ProStream. It’s compatible with Windows and Mac, and can record 1080p at 30fps or 720p at 60fps (stick to the former though, the results are better). The built-in stereo microphone isn’t that impressive, but you can pick up decent USB microphones for about $20 anyway. For $20 less you can still pick up the older model, the wildly popular Logitech C920 ProStream, with some reviewers even preferring this option. The most well-known action camera around is the GoPro, and while there are pricier models out there, the Hero7 Session is a good entry-level action camera that can be picked up for less than $400 (or pick up a refurbished older model such as the Hero6 off Amazon for less than $300). It has some nice features, including 4K video, image stabilization, voice control, 8x slow-mo video, and time-lapse features, all packed into a compact, waterproof (up to 10m), and shockproof body. The Nikon Coolpix S6900 is an easy-to-use compact that’s a good option for vloggers on a budget. It shoots in 1080p, has WiFi, and you can flip the viewfinder so you can see yourself while recording. The downside is that it’s not amazing in low light, and the microphone isn’t great, but at this price that’s to be expected. In addition to our favorite overall camera mentioned above, Canon’s Powershot G7 X Mark II, this price range includes some entry-level DSLRs. Canon’s Rebel line has been a popular first DSLR choice for years, and the Canon EOS Rebel T7i EF-S is no exception. There’s even a kit available for a bit more that includes a video mic. As is true for most DSLRs, the kit lens that this camera comes with isn’t great, so if you’re serious about great image quality, you should plan to invest in a higher quality one. If you’re interested in a mirrorless camera, the Panasonic Lumix GX85 is a solid choice, capable of capturing high quality 4K video with a camera far less bulky than the average DSLR. This compact choice also has features like a 16-megapixel sensor, anti-shake control, and a wide range of interchangeable lens options available. Passionate vloggers who are ready to drop some serious change on a serious camera have their choice of some amazing options. Sony’s A7R III Full-Frame Mirrorless is widely considered the best mirrorless around. It boasts a full-frame sensor, 42 megapixels, advanced image stabilization, a variety of interchangeable lenses, Wi-Fi, and more. It’s great in low light, the battery life is vastly improved from the previous model, and it records 4K at 30fps (i.e. clear and smooth footage, more than you’ll need for the web). A great option is this package: the highly-rated Canon Video Creator Kit, which includes the highly-rated Canon EOS 80D camera with 18–135mm lens, a Rode VIDEOMIC GO microphone, and a 32GB Sandisk Memory Card. The camera can shoot 1080p at 50fps and while some will scoff at the lack of 4K capabilities, you’ll probably never need 4K for the web anyway. People who own this camera seem to rave about it, and at $1,500 including microphone and memory card, it’s a fantastic deal. We hope this guide helps you choose a vlogging camera with the features you need at the right price. Be sure to also check out Biteable, which offers free, easy to use templates for intro and outro videos for vloggers, plus other great video-making features. Happy vlogging!